Large jar containing numerous small pieces of flint, found at Little Ferry; the pieces are generally not shaped. 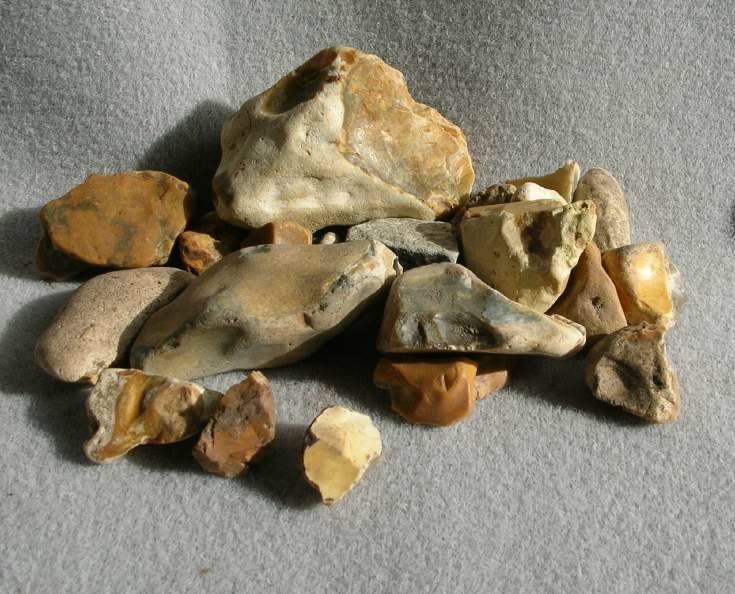 The flints may represent ballast from a ship, or traded pieces (there is no local source of flint). There is no obvious sign that they were used as tools.